How could any one resist chomping down on a delicious chocolate chip cookie? I am sure it is every kids favourite cookie. And pair it with a glass of cold milk .. even yummier! I personally prefer a chewy chocolate chip cookies but I do know of friends who prefer the crunchy ones. 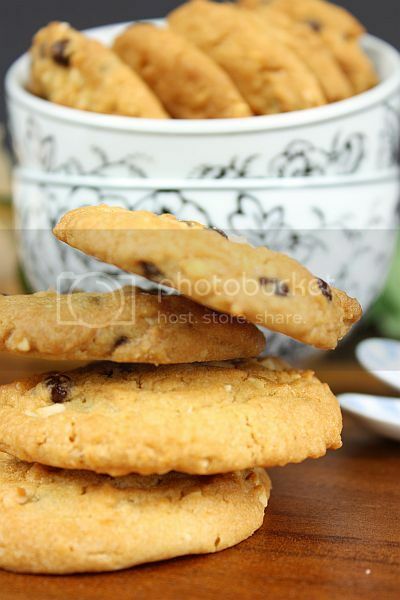 The most famous crunchy chocolate chip cookie which comes to my mind would be "Famous Amos". When I first came across this recipe from Alice Medrich claiming to be the "best chocolate chip cookie ever", I knew I had to give it a shot. Maybe to proof otherwise. After having made them, I do have to agree that they are delicious and very much addictive. You can reduce the baking time about a minute to have a more chewy cookie or increase it by another minute to have a crispier one! Isn't this good - one recipe to cater to two different taste. 1) oven to 350 degrees. Cream butter, sugar and brown sugar until very creamy (If using an electric mixer, beat 4 minutes on medium speed). 20 Add the eggs and vanilla and beat until very creamy, about 2 minutes. Add baking soda, baking powder, salt and flour. Cookie batter should be somewhat thick. Finally, add chocolate chips and mix well. If you want, refrigerate the dough for 30 minutes to harden it a little and make it easier to work with. 3) Drop about 2 tablespoons of dough two inches apart onto a baking sheet lightly sprayed with nonstick cooking spray, or lined with parchment paper. 4) Bake for 12-14 minutes, until the edges are golden brown. 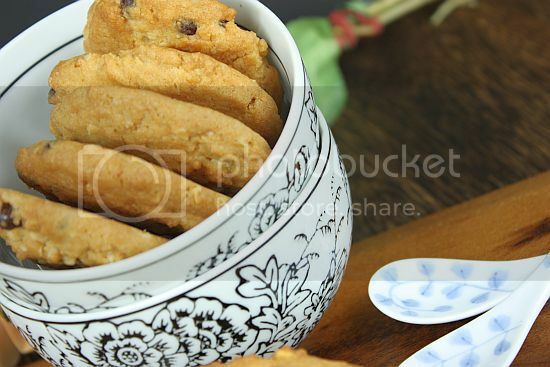 5) Transfer cookies to a wire rack or a cool surface. Wait about 5 minutes before serving. Oh, this is a classic bake! I was thinking of trying out some choc chip cookies and here you are! Thanks so much! If it's so versatile, it's truly worth to try. Nobody can resist choc chip cookies! Very tempting! It almost looks like they have nuts in them. Or oats even. A perfect chocolate chip cookie is all you need to feel good on a down day. 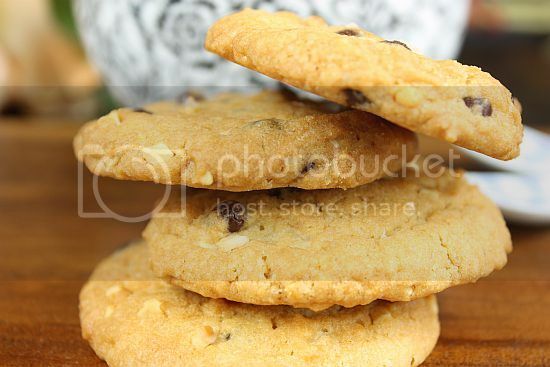 Hi Duo Dishes, I must confess that I did add some almond nibs to the cookies. 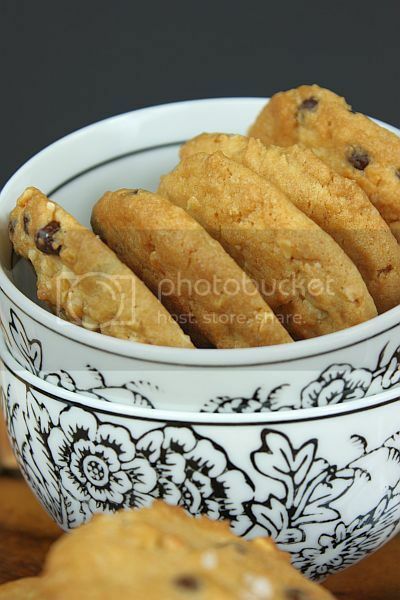 my favourite cookies will be always chocolate chips cookies, yours looks so good that making me craving for some. I can't resist chocolate chip cookies too!